You've been daydreaming and planning about the deck of your dreams. You've sketched out ideas, and saved countless images of looks you love. You're almost ready to place your order and get installing; but then you worry, what if something goes wrong? What if I move and sell my house? Is a new railing really worth it? In short, yes! 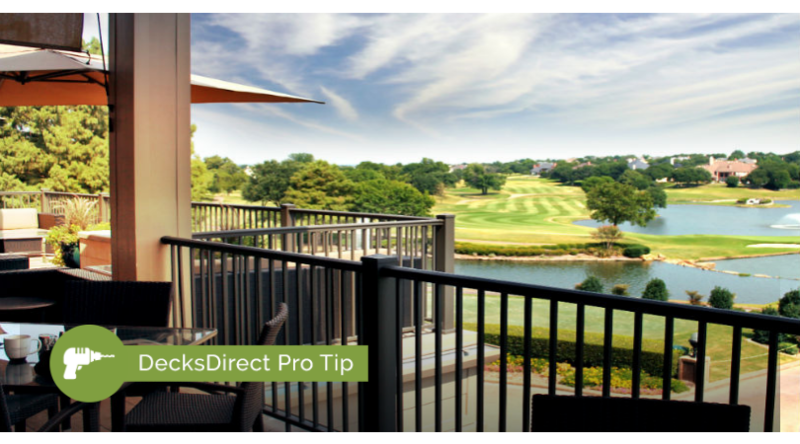 At DecksDirect, we understand that buying a new railing system can be intimidating, that's why we only sell top-of-the-line deck railing systems, all with industry-leading warranties to make sure you're covered. So whether you're just starting fresh or completing a whole remodel, get the right railing for your look and add immense property value to your home! The AFCO Pro Raililng system features a limited lifetime warranty for the purchaser of these materials. This system also features a one-time transfer between owners. This means that if you end up selling your home down the road, the new owner will still have full coverage, adding a ton of value to your home. The warranty for the AFCO Pro system is full coverage no matter what region. This means even installed at the ocean shore, this aluminum railing system is completely protected. The powder coat paint finish on the AFCO Pro railing line is AAMA 2604 compliant and under warranty will not crack, chip, blister, peel, or abnormally fade or discolor. If at any point in your project you have any questions, feel free to give our deck experts a call at 1-888-824-5316 or send us an email at hello@decksdirect.com.